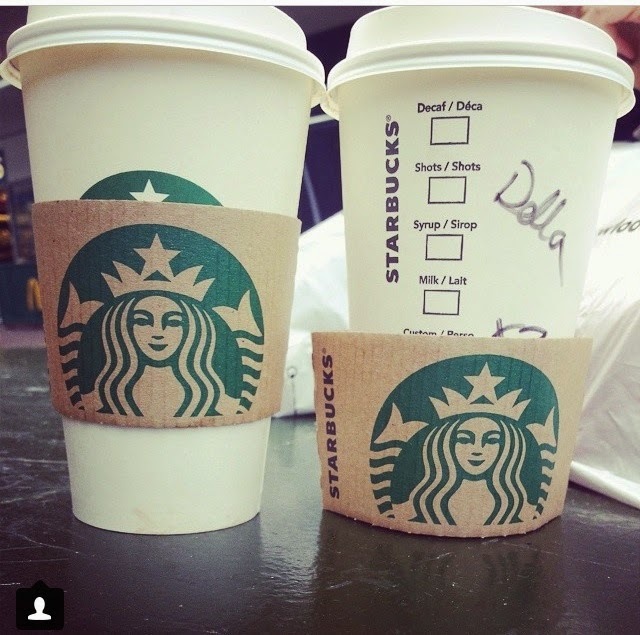 To help us through the hours of shopping I treated Danielle to her first ever Starbucks and she loved it. I was so happy to finally get my name on a cup haha! 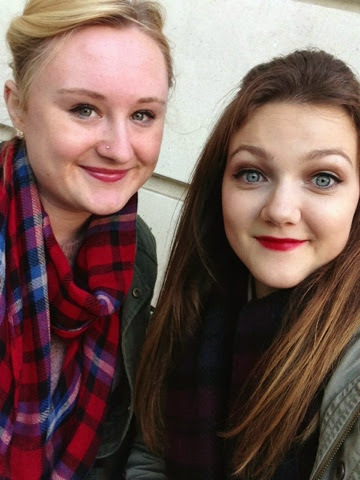 We both opted for a hot chocolate, which was ideal for the Autumn day. 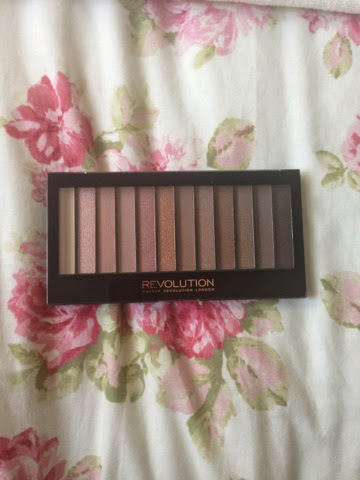 Onto the haul, the first shop we stopped at was Superdrug and the first thing I picked up was this Makeup revolution neutrals palette. 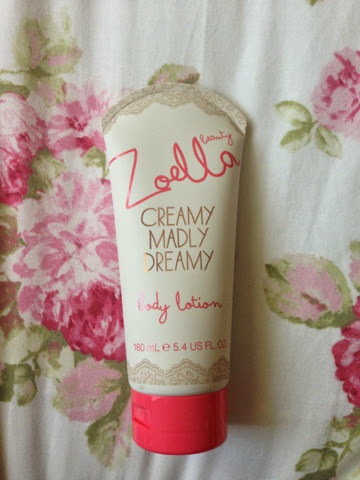 I've been wanting to try this brand for a while now because of all the amazing reviews I've heard, however its not stocked in my local Superdrug. Therefore, we were two pretty happy girls when we saw this stand! I chose 'Redmption palette iconic 3' because I loved the selection of colours as it had a range of pinky and brown toned colours, both of which are my favourite to wear. It was only £4, got to love a good bargain! The next thing I picked was this 'Master precise' liquid eye liner by 'Maybelline' because before we got there my eyes had watered and one of my wings had slightly come off so I decided to buy this to top that up and to give me the chance to try out another eye liner. 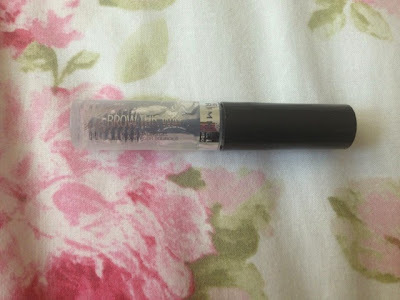 I found it lasted rather long and was easy to apply, the best features in an eye liner! This cost £5.99. 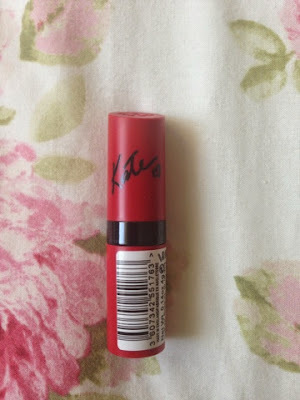 Another item I bought was a Rimmel Kate Moss lipstick in shade '107'. On one of my previous posts I asked for some darker lipstick recommendations and I got a comment suggesting this one so I thought I'd give it a try! 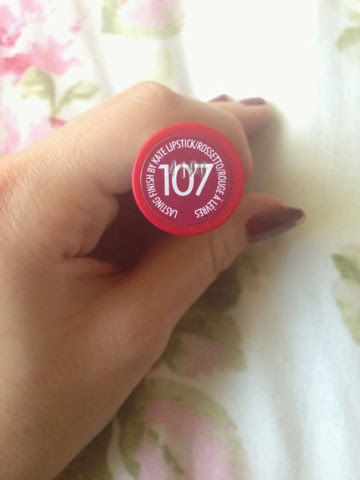 Its a gorgeous burgundy shade and I think its going to come into a lot of use this season. 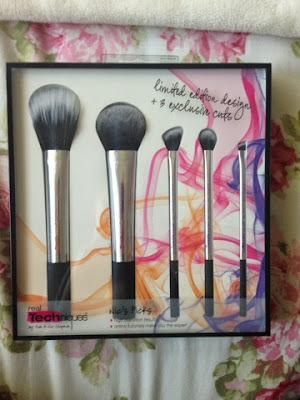 One of the bigger purchases I made was The 'Nic Picks' real technique brush set. I remember wanting these last year when they first came out but they were limited edition and I never got my hands on them. 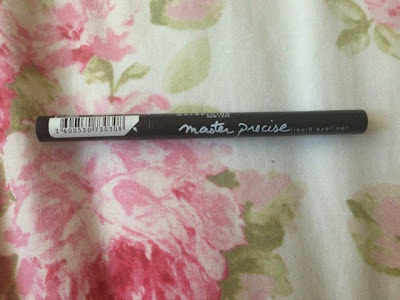 However I saw them in Superdrug and thought I'll treat myself to a couple of new brushes! They were £19.99 and I can't wait to begin using them. 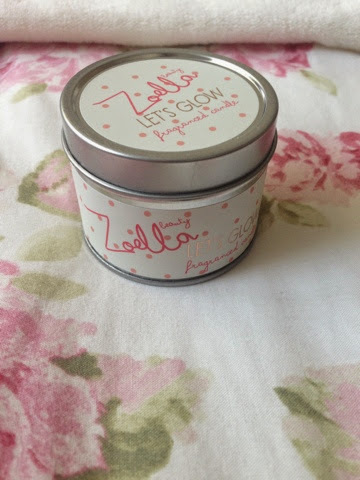 The last thing I bought in Superdrug was the Zoella beauty candle. When the range came out I wanted to buy the whole range yet everything but the candle was sold out, I then went ahead and bought all the range besides the candle on 'Feelunique', I got a bit over excited! 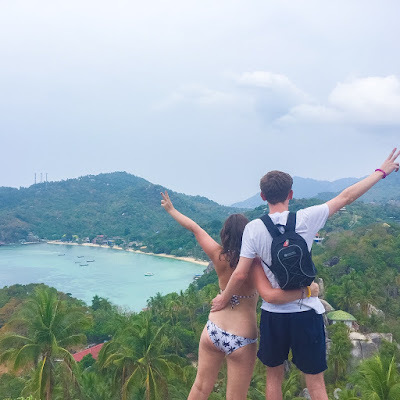 Zoe is a big inspiration to me and I'm so proud of all she's achieved! Therefore, when I saw this in Superdug I had to pick it up and now my collection is complete! The last makeup item I bought was in Boots, a clear brow gel by Rimmel. I've been wanting something like this for a while to keep the hairs in place. It only costs £3.99 which is a total bargain! Another shop we popped into was Lush which was one of the shops we spent a good while in smelling all the different bath bombs and products. 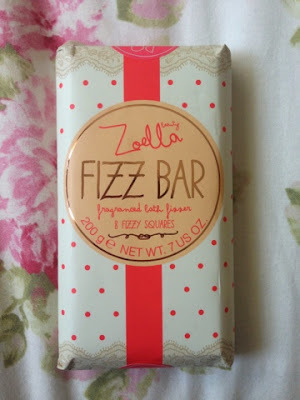 I didn't want to go crazy in there as I recently just purchases loads of Zoella Beauty products and so only picked up one thing. 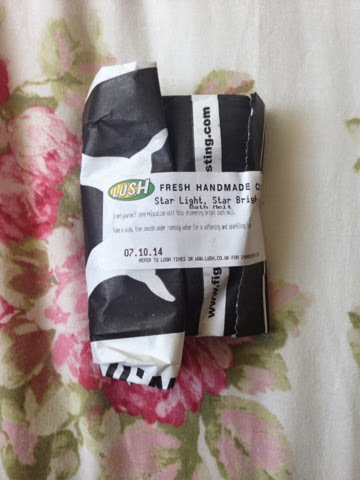 I chose the 'Star light, star bright' bath melt. 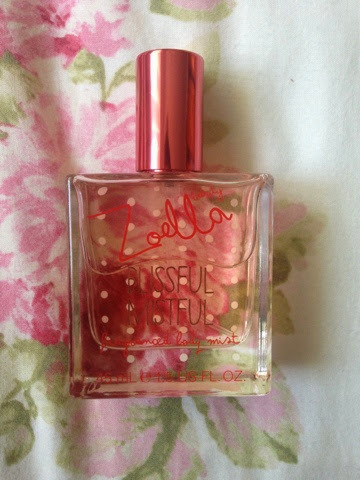 It has the most beautiful sweet smell that I literally adore! It looks like a shimmery silver star and is extremely glittery, but hey who doesn't love a sparkly bath?! I can't wait to have a pamper evening and pop this beauty in the bath. What's a shopping trip without Primark? As you can tell another shop we spent a while in!Surprisingly I only found a few bits (and yes they are all monochrome) however they are real little gems which I fell in love with. The first thing I bought was this long, bulky black and white cardigan. This is honestly one of my favourite purchases, its very comfy, cute and its monochrome, all the best things! 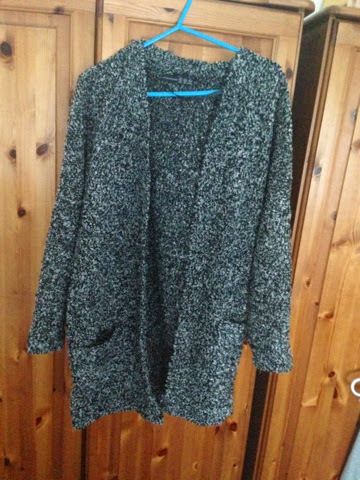 I think its going to be a staple in my wardrobe because of it being a neutral colour, it's very versatile and can go with many things. I think it was around the £14 mark. 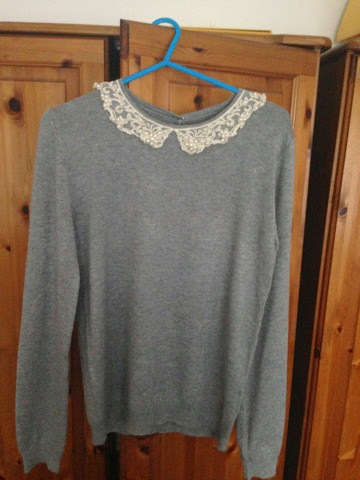 The next item I purchased was this light grey jumper with an adorable cream collar. If you know me, you'd know I have a huge obsession with all things collars and many things in my wardrobe do have a collar! I thought again this is quite a versatile piece because of the colour and you can wear it quite casually or dress it up. Its made of snugly, comfy material too and would be ideal for a lazy, chill day. This was about £12. 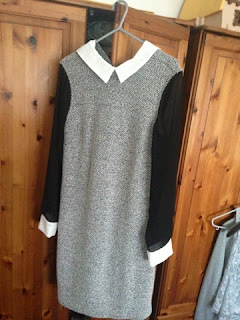 The last item I bought from Primark was this monochrome dress. I loved the detailing on this dress especially the sleeves. However when I tried it on, the shape didn't really suit me. I decided to tuck the dress into my jeans to see what it looked like and I much preferred it as a top. I chose to buy it and work my sewing magic and turned it into a top. When it was complete, I was really happy with the finished product! 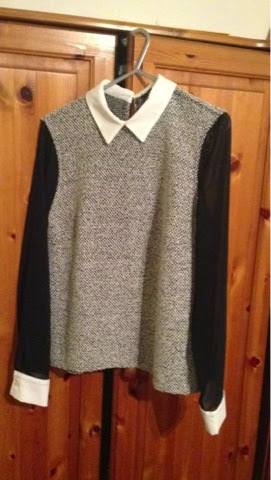 This cost me £13 and it was such a good investment as I'm literally in love with this top! The last thing I picked up were these jeans from New Look. I always buy my jeans from New Look as they've never let me down and last for such a long time! 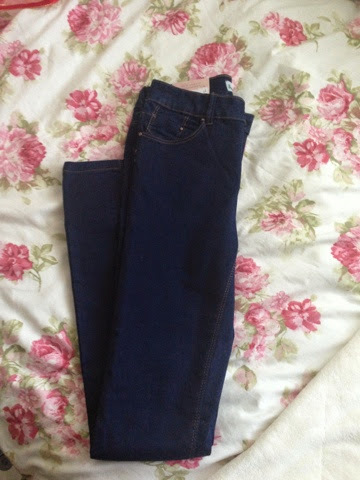 These are just a basic super skinny navy coloured pair which cost £19.99. i love the grey jumper! 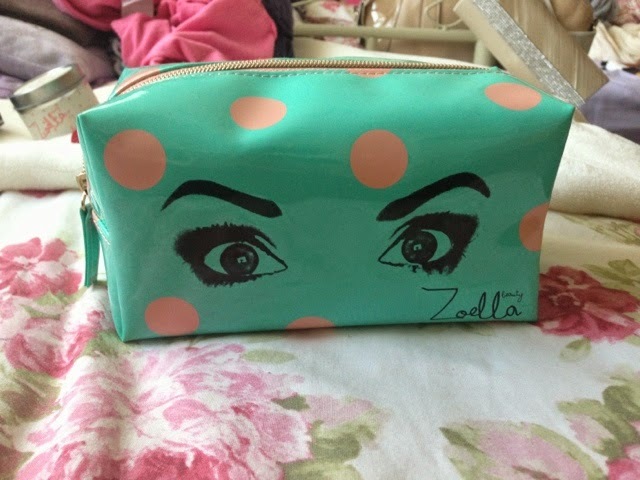 also very jealous of all the zoella products! need to get my hands on some! Very jealous of your purchases. I want them all. Hope you had a good time. Aww yay, glad you like it! Loved this haul, the jumper is fab! 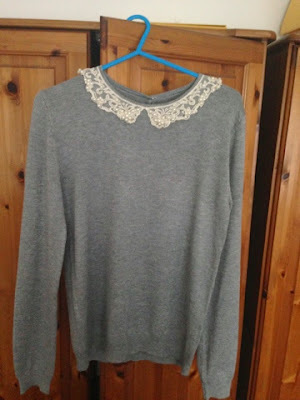 I love the clothes you got from primark- especially the collared grey jumper :) I've not shopped in primark for a while, I'll definitely need to pop in soon after reading your post. I'm a new follower, looking forward to reading more of your posts. I love the eyeshadow palette.